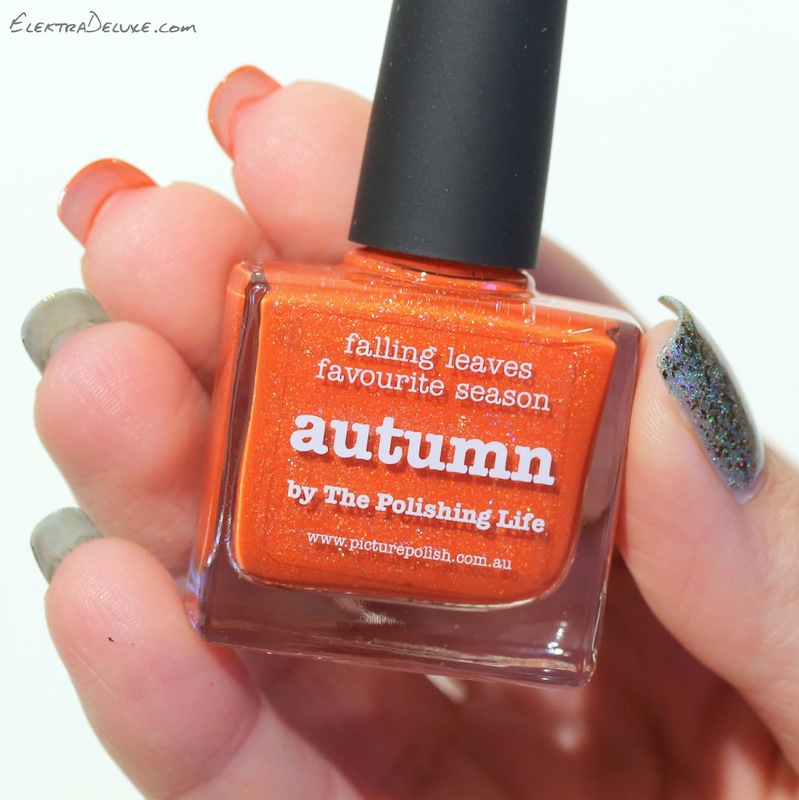 In hope of better weather let me share a manicure with you that represents the beautiful days of fall. 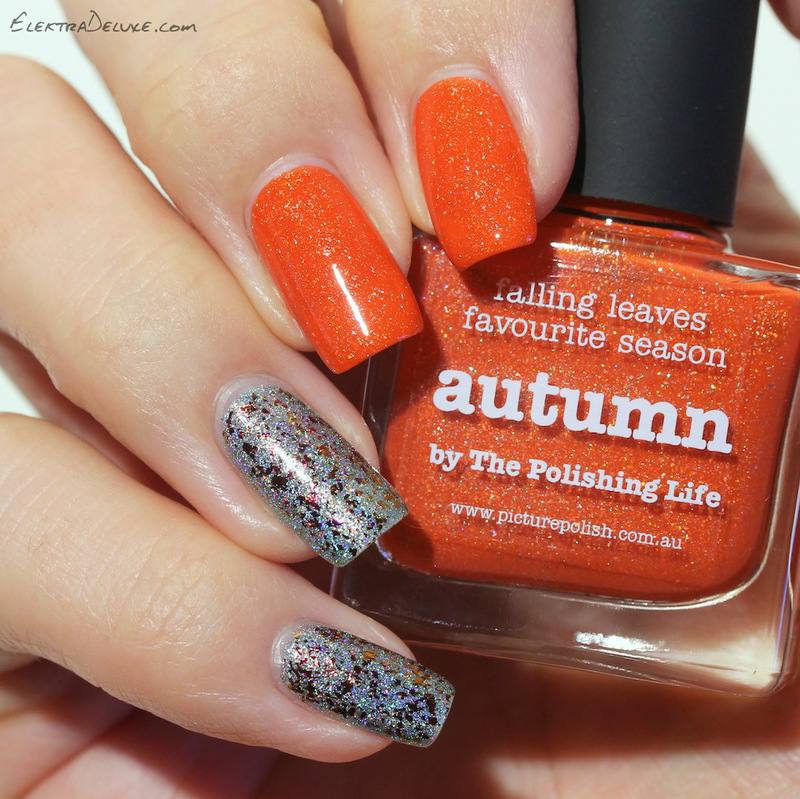 Last year Picture Polish released Autumn, an ever so slightly muted orange enhanced with those gorgeous holographic shards. 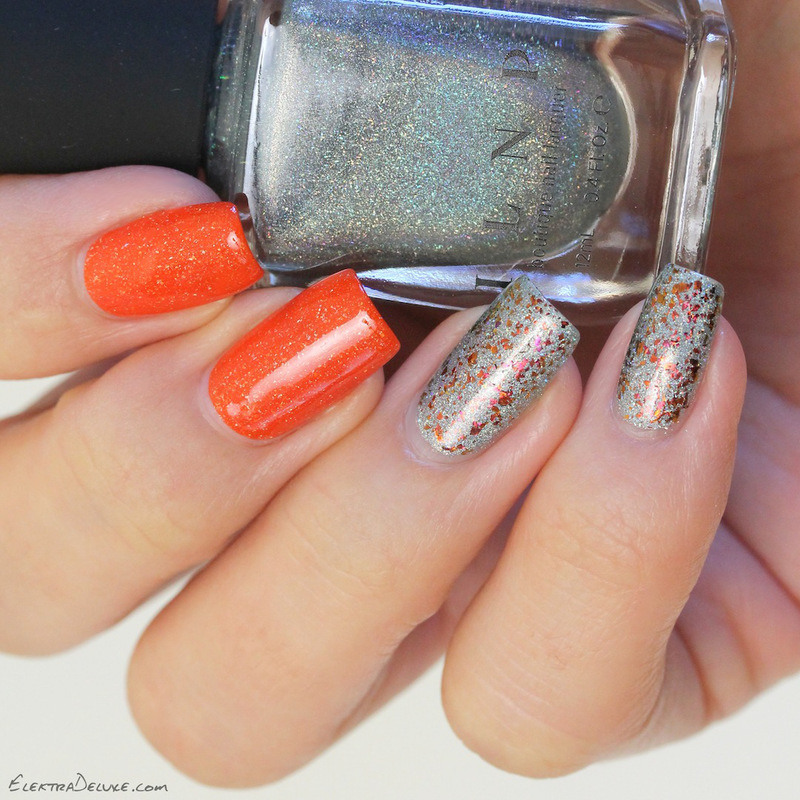 In today’s look I combined it with a fresh light pearl blue holo and coppery chrome flakies. On index and middle finger I’m wearing 2 coats of Pictures Polish Autumn. 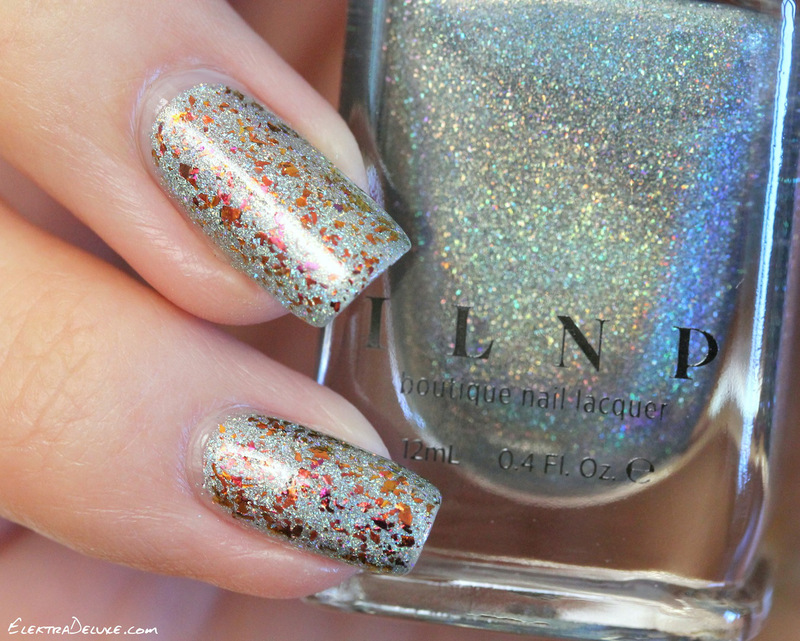 On ring, pinkie and thumb I applied 2 coats of ILNP Top Down and added 1 coat of ILNP Glory.